José Luis García Paneque was born in 1965 in Cuba. 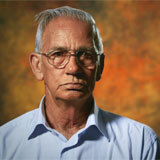 He studied medicine at the Institute of Medical Sciences of Camaguey. As a doctor, he specialized in plastic surgery. In 1998, he became active as a dissident, joining the Freedom Press Agency, an alternative journalism project. In 2000, he became the initiative’s director. For his activism, he was removed from his position at the hospital where he worked. In March 2003, Dr. García was among the 75 dissidents who were arrested in the crackdown known as the Black Spring. He was summarily sentenced to 24 years in prison. He was imprisoned for seven years and four months, two years of which were in solitary confinement. The harsh conditions in prison caused him to lose half of his body weight, posing life-threatening consequences to his health. In 2010, he was released in negotiations brokered by the Roman Catholic Church. 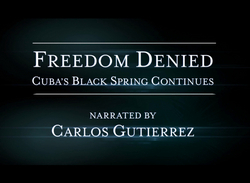 As a condition of his release, Dr. García was required to leave Cuba. 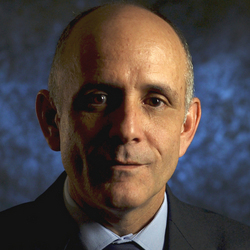 Since leaving his homeland, Dr. García has overseen the Freedom Observatory project, which is associated with the Institute of Strategic and International Studies at the Catholic University of Valencia in Spain. He currently lives in Florida. Follow Dr. García’s blog at http://vocesdeldestierro.wordpress.com/. The situation in Cuba is unique because unfortunately any person outside of Cuba knows more about Cuba than the Cuban themselves who live on the island. The constitution of the Republic of Cuba, that piece of paper written by Jose Martí, that constitution that is completely anti-democratic- liberticide is stipulated in Article 53 where it defines very clearly an information monopoly. It states that only those who conform to the socialist ideas have permission to write and publish. To conform to the ideas of socialism and communism. Anyone who opposes this does not have the freedom to write and publish. If the Cuban population recognizes these leaders, it is because these leaders have been able to represent a section of their society. Or by means of communicating to the masses controlled by the state like a roundtable or the news. These forms of media with their very unique ways to lie to the people were recognized by Fidel Castro in a statement he made at the Assembly of Latin American Sociologists in 2003. And how did I know about this? Through the Cuban media. They see them as mercenaries, as corrupt people, as people with their own agenda. As a person who is not interested in the Cuban population. They are against everything. They are fighting so that the Cuban people do not live in misery anymore, to live based on need and they live more exploited than before. Unfortunately that's how it is. But that is why the Cuban people need more information. There has to be a way to create media in an independent form, an alternative form of information without the daily censorship in Cuba. And by means of this media, these leaders who are respected people can be known to the Cuban people. They would be able to give their discourses, programs, political and ideological thoughts so that the people can begin to follow them. 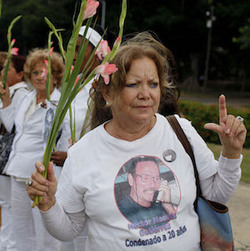 Practically, there is a state of silence in Cuba. The leaders do not allow people to leave their houses. Jose Luis García Pérez practically lives as a recluse in his house. He cannot leave, cannot even go to the front porch of his house because the police will come quickly, enter his house, and put him back inside. He is to stay in the house or be arrested. And that's how a lot of the resistance leaders live in Cuba. That's the reality of those who live and grow up in Cuba. A lot of people who listen to Radio Martí are sympathizers. 100% of them although I do not know them personally but I have heard them speak.